A common maintenance task required of a Craftsman mower is belt replacement. Belts not only drive the mower blades, but are often used to deliver power to the drive wheels on some models. A belt that slips periodically while operating the mower, is an indication of belt wear. A distinct squealing sound is a symptom of belt slippage. Find a clean and level surface for working on the lawn mower. Preferably, a grass-less area such as a sidewalk or concrete driveway is best. For one thing, if a nut or small tool drops to the ground, it may be impossible to locate in the grass. Lower the mower deck as far down as it will go. This will allow the most room for working in between the mower deck and the bottom of the mower. Some areas will still be hard to reach, but this position will make things much easier. Take the hex head screws off of the spindle pulleys on either side of the mower deck. The spindle pulleys are the largest two pulleys found on the deck at the far left, and the far right, side of the mower. A Phillips screwdriver or a small 3/8-inch socket and ratchet with an extension will work. Back the screws out by turning them in a counterclockwise direction. Set the screws aside and lift the spindle covers off by hand. The mower belt is now accessible. Relieve the tension on the mower belt in order to remove it from the pulleys. The idler pulley--located near the center of the deck--maintains tension and alignment on the belt. It mounts onto a bar, attached to a spring. Place a 3/8-inch drive ratchet into the square hole on the idler pulley to relieve slack on the belt. Rotate the idler toward the left side of the mower, pulling it away from the belt. Hold the idler pulley in position with one hand and route the belt off the remaining pulleys with the other hand. Slowly relax the idler pulley, allowing it to rotate freely back into position. Insert the new belt onto the main drive pulley, followed by routing it around the spindle pulleys. The idler pulley is the last point at which the belt will be inserted. With the guards and spindle covers out of the way, the belt will slip directly onto the pulleys. Place the 3/8-inch drive ratchet into the square hole on the idler pulley. Rotate it in the same manner as before, allowing the new belt installation around it. Again, hold tension on the idler with one hand, and route the new belt around it with the second hand. Gradually relieve tension on the idler. Do not allow it to snap back suddenly. Once idler is resting against the new belt, the spindle covers and belt guard are ready for installation. Install the spindle covers over the two large pulleys on the mower deck. Insert and tighten the hex head screws. Reinstall the belt guard around the main drive pulley and install the bolts. 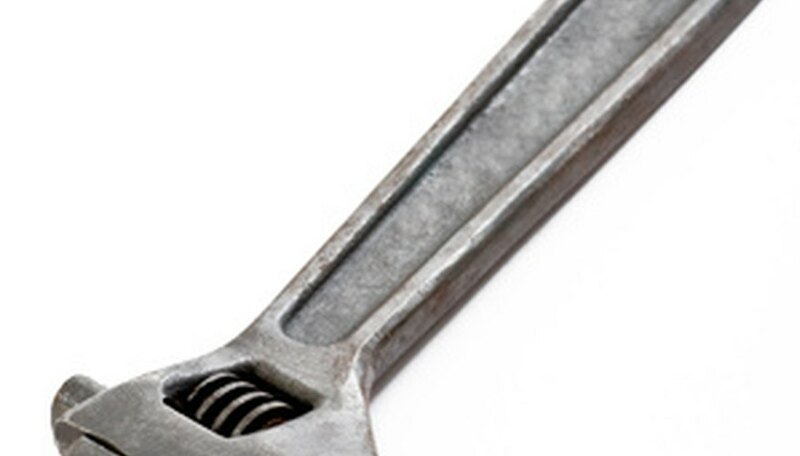 Tighten the bolts with the ratchet and socket until they are tight. Inspect the area to ensure all tools are out of the way. Start the mower and slowly engage the mower blades to start the belt tracking on the pulleys. After the first mowing, inspect the belt and guards again for security. Spray the deck off with a water hose before parking it the location where belt will be replaced. Spray a light lubricant on the screw and bolt threads before re-installing - this makes future removal easier.